Anyone in Virginia struggling with alcohol abuse can get a new shot at life by getting the best care available in the state. This starts with calling any of these alcohol treatment hotlines to get connected with experts. Delphi Health Group offers support and treatment advice to people struggling with alcohol addiction. As far as the insurance covers most of the sevices offered by the company, the treatment options are available for almost anyone. DHG alcohol helpline is available 24 hours a day, seven days a week to provide alcohol counseling services and initiate treatment services to callers. Call the alcohol help hotline at (888)-459-551. Calls are toll-free and confidential. Call the National Alliance on Mental Illness (NAMI) Virginia helpline at 1 (888) 486-8264 in case of the emergency, or the non-crisis line (804) 285-8264 for help with alcohol treatment advice and assistance. The other option to reach the alcohol abuse helpline is the Information Helpline (800)-950-NAMI. Individuals and families with alcohol abuse issues can reach the SAMHSA National Helpline number 1-800-662-HELP (4357) to get information about alcohol treatment. Call center professionals also provide referrals to alcohol treatment programs in the state and across the country. Reach this helpline any day, any time. 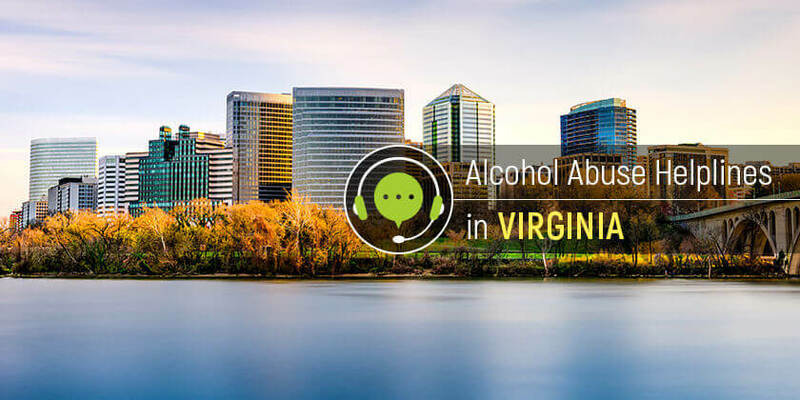 Alcohol addiction in Virginia can be a thing of the past with available resources and rehab services available for residents. Call any of these alcohol abuse hotlines to access these services today.